When we have deleted, lost, damaged the voice memos, we can retrieve voice memos from iTunes Backup File and from iPhone directly. The article presents detailed step to recover voice memos. Voice memos play also an important role in iPhone data. Maybe it's family's memory, maybe it pepresents the happy life of the past. How to recover deleted voice memos on iPhone? 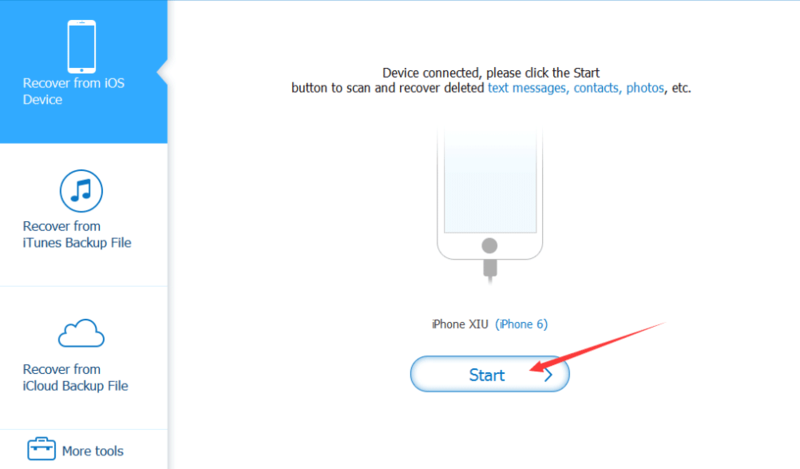 You want to retrieve voice memos from your iPhone but do not know how to do it? As far as I am concerned, you need a secure software to retrieve deleted or lost voice memos. EelPhone iPhone Data Recovery is a data-recovery software dedicated to iOS devices, which can run on Windows and Mac platform and support a certain degree of data recovery to the Apple devices, such as iPad, iPhone, iPod Touch, under the situation that the data has been deleted / lost / damaged or corrupted. Our software can recover many types of data which includes messages, contacts, memos, photos, videos, and even the chat records, contacts and small videos of WeChat. With the help of iPhone Data Recovery, it's more easier to recover the voice memos from your iPhone. Just with several simple clicks, then you can get your work done. So, if you want to know how to recover voice memos or any other data from your iPhone using, you should download it at first. In this article, we will introduce you two ways about how to do it. Step 1.After you have downloaded our software and installed it successfully, launch the program and then you need to connect your iPhone to your PC. 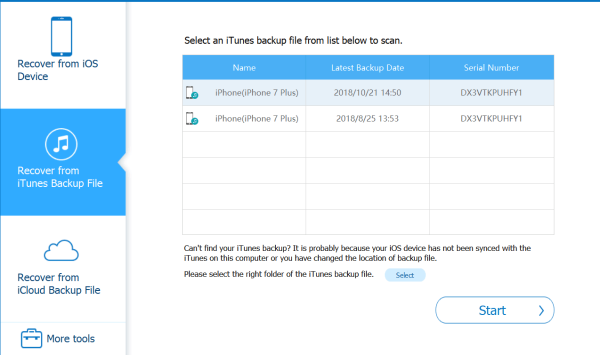 In the window, the iTunes backup of your iPhone will be shown and you should select it to have a scan. Click the button " Start " in the right corner then your iTunes backup file will be scanned. 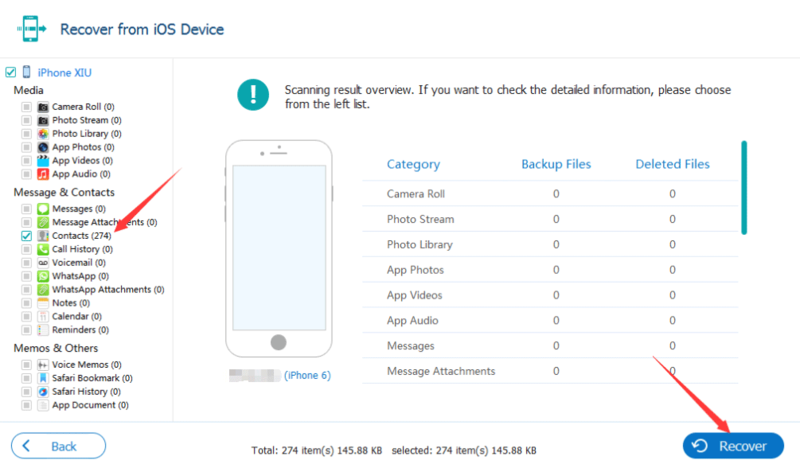 Step 2.After being scanned in several seconds, all the data of your iPhone will be divided into different types and arranged into a clear list. Find the " Voice Memos " on the list of option and find out which voice memos are the ones you need. Choose them and click the " Recover ", then they will be downloaded on your computer. If you are not an iTunes user, you can just simply and directly restore the voice memos from your iPhone. The steps for operation are similar and I believe you can handle it easily. Let's see how to do it together. Step 1. 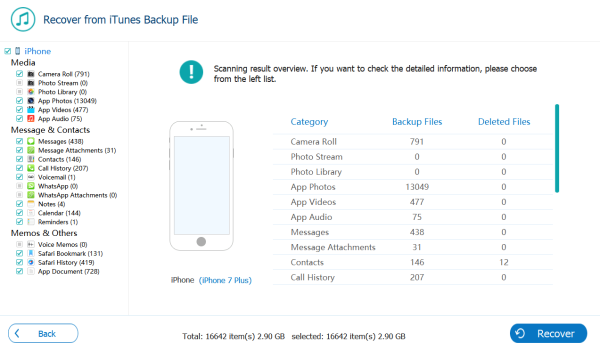 Open the program and choose " Recover from iOS Device " on the " iPhone Data Recovery" interface. Then you should connect your phone to PC and click the " Start " button to look through all the information on your phone. Step 2. Waiting for the scan of your device until it is finished, the window will show you a similar list. 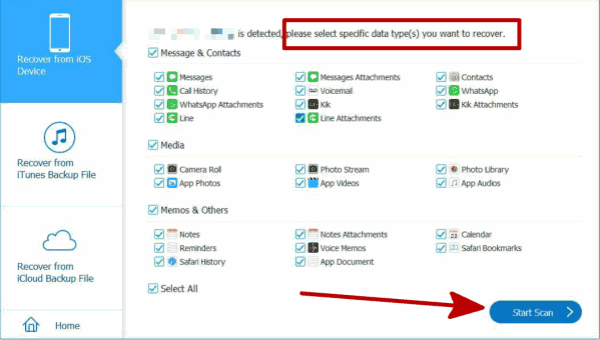 Still, choose the " Voice Memos " and check all the memos to ensure that you have selected the right ones you want. Finally, a simple click to the " Recover ". We are honored to help you retrieve your voice memos and helped you find a happy memo. The next time you encounter a problem with your mobile phone, send E-mail to us, we are always there!